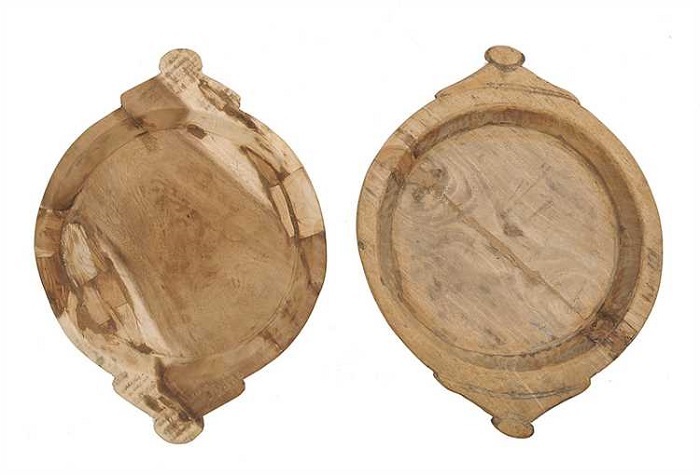 French Wooden Hand-carved Bowls - MEDIUM SIZE, 17" - 19"
Catalog > French Wooden Hand-carved Bowls - MEDIUM SIZE, 17" - 19"
These french-style wooden bowls are individually-made - no two are the same. They make great display pieces on your hearth, mantle or table. They are not meant for food. You could probably line with paper or put a piece of glass in the center which would allow you to put a loaf of bread and cheese for serving. This listing is for the smaller size which measures between 17" to 19", handle to handle. PLEASE NOTE: There are two separate listings for the large and the medium size in French Decor.